I put together a top ten list for Bookbitch.com but I'm clocking in at over 160 books read in 2012 so narrowing it that much was a pretty difficult, even limiting it strictly to titles released this year. So my top ten ended up being a narrowed by category list (limiting the number of titles in a genre to give it a good spread). But I still wanted to share my extended list of 2012 faves for you guys! 2013 promises great things with new titles from Stephen King and Joe Hill, seconds in multiple series whose openers made the above list and much, much more. Here's to another great year of even more great reads! Morning, all! I'm a stop on the TLC tour for Elmore Leonard's Raylan today. If you haven't watched Justified (why haven't you watched Justified?!) then you may not be familiar with Leonard's popular leading man, US Marshall Raylan Givens. He's not afraid to do what it takes to get the bad guy, but more often than not he comes out on top. I love and adore the show! In fact, it's one that we never miss in our house. Seriously if you're not watching you are missing out! And of course I was going to be interested in reading Elmore Leonard's latest. In Raylan, Givens is involved with three different cases of sorts. Coover and Dickie Crow have teamed up with some folks involved in an enterprise stealing human organs. Then, Raylan is stuck escorting an executive from M-T Mining as they try to convince the locals that their plan to strip mine a mountain top is a good plan. Finally, a group of bank robbing strippers has been hitting up local banks. The three cases do very strongly resemble three different episodes of the show. If you're a fan, you'll enjoy revisiting Raylan and these stories (they do differ some from the actual episodes). If you've not watched the show, it doesn't really matter. The book stands alone without depending on Justified. While I enjoyed the book, the transition between cases was a bit odd: they read more like vignettes or novellas than one cohesive novel, but there are no breaks separating them. It was somewhat jarring just to jump into a completely new case without much warning. Leonard, who I've not read until this particular release, has a very distinctive voice and style. His writing is very conversational and almost simplistic in its lack of non essential information. As such, the story (or stories) move very quickly. Again, you don't have to watch the show or even have read the previous books with Raylan's character to enjoy this outing from Leonard. It pretty much stands on its own. Raylan does appear in other works by Leonard. I've not read those, but based on the appearance of Boyd in particular it would seem that this book stands more alongside the tv show than the actual previous books. Apparently Boyd is killed off in a previous Leonard story. An interesting factoid about the show: Boyd was supposed to be killed off in the series premiere. Apparently viewers responded so well to the character, that he was saved and written into the show as a series regular. Raylan is out in paperback now and season four of Justified starts up on Jan 8 on F/X. HarperCollins is reissuing four more Leonard classics this month as well: Swag, La Brava, Valdez is Coming, and Out of Sight. For more on Leonard, Raylan, Justified, and Leonard's other work, visit his official website (linked above). You can also like him on Facebook and follow his official Twitter page here. Kate Locke gets big props from me for this first in her Immortal Empire trilogy! Set in a somewhat skewed present-day England where Queen Victoria (a vampire) still reigns, the series introduces a world where vamps, weres, and goblins exist as a result of the Black Plague. Xandra Vardan, a halvie (born of a human mother and vampire father) is part of an elite force that protects the aristocrats. When her sister goes missing, Xandra becomes embroiled in a conspiracy like no other! Xandra was pretty fantastic, I have to say. The big reveal was a bit expected, but only because it had to be what it was. I'm not going to say any more about it, but I'll bet most of you will figure it out. Book two, The Queen is Dead, will be out in February and is tops on my list of anticipated 2013 reads thanks to God Save the Queen. And one of these days I'll get around to the Kady Cross steampunk series as well. It's always welcome news to hear about new presses and new imprints. 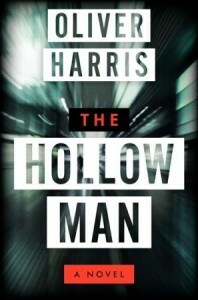 Seventh Street Press, an imprint of Prometheus Books, launched this year with a new line of mysteries and thrillers, including the first of a number of planned reprints by Carolyn Hart: Skulduggery (out now), The Devereaux Legacy (Feb '13), Escape From Paris (June '13) and Brave Hearts (Aug '13). Skulduggery, originally published in 1984 and reprinted in 2000, is a mystery based around the Peking Man skeleton collection, missing since WWII. Dr. Ellen Christie is a physical anthropologist in San Francisco. An article about her work identifying remains found at a construction site catches the attention of young Jimmy Lee. Jimmy has recently come across some bones he believes are the lost Peking Man and he wants Ellen to take a look. Based on what she sees, Ellen believes the boy is right, but before she can convince him to turn the bones over for analyzation, they're set upon by two thugs. Jimmy's older brother, Dan, helps defend them but Jimmy escapes. Now Ellen and Dan have teamed up to find the boy and his discovery before he lands in real trouble. My grandmother was a big fan of Hart's popular Death on Demand series. I was even tasked with tracking down a few in past years for her collection but this is my first time reading her. I liked Skulduggery. I thought it offered up what I believe is a time capsule look at Chinatown in San Francisco in the early 80s -- not that I've ever experienced Chinatown in San Francisco at any time period. Hart's attention to detail is wonderful. The sort of people viewing Ellen does as she walks through Chinatown takes this book a bit beyond a typical mystery, really bringing to light some of the struggles of Chinese immigrants in America at the time. Granted it's just a tiny look at that, but it's enough to bring the book places I wasn't expecting it to go. The pacing and the style were great -- the book appears to be a slim read but it's more meaty than the page extent would lead you to suspect. I did think that the end was a bit dated in terms of style. It's not a real complaint but it is something I also noticed when I read one of my grandmother's old Mary Stewart titles last year. The sort of everything-will-be-alright, happy and neat wrap up ending. Hart's well known for her cozies so it could be that she'd opt for the same kind of ending these days, but I've noticed an overall trend away from that in my current favorite mysteries. 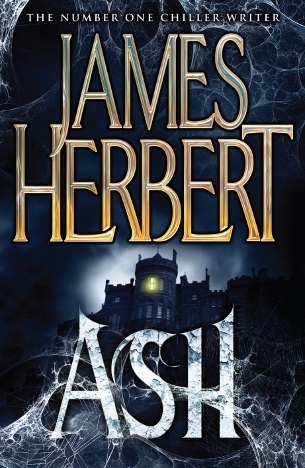 Overall, Skulduggery holds up well and should be a welcome rerelease for mystery fans. Morning, all! I have a special giveaway post today! Elizabeth Haynes's to die for debut, Into the Darkest Corner, is due out in paperback Jan 2 and I have a copy up for grabs -- along with a postcard from the author! I reviewed this one back in May as part of the TLC book tour. You can read that here. Not only was this one of my favorite books of the year, it made my Top Ten Shortlist! Greetings from Westeros! It's been almost seven months since I last visited George R. R. Martin's fabulously rendered medieval fantasy land and I have definitely felt the pull. And so I decided this weekend would be a good time to return: Mike was working on a short film and that meant I'd have some time alone in the house. What better way to spend that time than delving into a 900 page plus monstrosity of political (and familial) scheming and conspiracies? And it proved to be a good diversion from real world happenings (as books typically are). After the mess of book three -- not a mess in terms of story just the completely unexpected turning the entire story on its head happenings -- I wasn't sure what to expect in this fourth of the series. I'll skip the synopsis for you guys since it's getting harder and harder to leave out spoilers and anyone watching the show is in for a wild ride next season! Wouldn't want to ruin that for you. I will say that Cersei is still as manipulative as always, Jaime is finally starting to realize it, and King's Landing seems to be getting a little tired of the Lannisters. Arya is again traveling on her own and Sansa... well she seems to be catching on finally. And we quickly discover that about half of the characters are missing in this outing. Why? Well I skipped ahead to the author's note (I was checking out the appendices, not cheating!) and saw that this and book five were originally all one book. Given the massive length that would have been, the decision was made to split the story in half by character rather than over all tale. It works. I'm glad we get this handful of full stories rather than a big cut off in the middle. I love that four books in and who knows how many thousands of pages (you can add them up if you want) Martin hasn't lost any momentum. None of these feels like filler. And this behemoth has only taken me about four days to complete -- so it moves pretty darn quick, if you ask me. About halfway through this one, and fighting a pretty bad bout of insomnia, I suddenly found myself imagining what Martin's office must look like. I can't even fathom the amount of notes he has to be compiling to keep this story straight! The richness of this tale comes from the detail and effort put into bringing the world to life. There's a history, there's a mythology, there are multiple lineages, bedtime stories for kids, not to mention the creatures and the geography. The show producers have done an amazing job adapting this series but more than half of that detail is missing from the show. It's one of my favorite things in reading each book and one of the big reasons I suggest both reading and watching the series -- they stand on pretty equal footing as far as I'm concerned and represent their mediums magnificently. Season three isn't due to hit screen until March and I've only got one more book to go before I run out. No word on when the next two installments will be released but I'm guessing we'll be in for a long wait (the author's note also said to expect book five the following year -- that was 2005 and book five hit shelves in 2011!). It'll be worth the wait but I hope my Swiss cheese brain doesn't forget all the details in the meantime. Giveaway dets at the bottom. Did you ever see the movie Extreme Measures? It came out in 1996 and proved to be my introduction to Michael Palmer. I was fifteen that year and had seen the trailers for the movie. While spending the night at my grandmother's house I discovered she owned a copy of the book the movie was based on. So I snatched it up and spent the night reading it and I've been a Palmer fan ever since! Palmer is the author of 18 novels. All thrillers and all (in my opinion) pretty freaking fabulous. His latest, Political Suicide hit shelves just this week and has been keeping me awake reading at night just like Extreme Measures did all those years ago. Dr. Lou Welcome is certain that his friend and fellow doctor Gary McHugh is not a murderer. Unfortunately, McHugh has been struggling with alcoholism and recently suffered a black out. His car was crashed into a tree near the house of a senator whose wife had been having an affair with McHugh. That same night, the senator was murdered in his own home. Though no weapon has been found, McHugh's circumstances are all the police need in the way of motive and opportunity. McHugh asks Lou to do anything he can to help clear his name. As Lou begins to dig into the case, he quickly discovers evidence missed by the police. Evidence that points to another possible suspect with a motive to kill the senator. But when Lou clues the cops in, the evidence somehow disappears and Lou's copy is stolen as well. Now he and McHugh's lawyer are certain that there's something fishy going on, but proving McHugh's innocence also means putting themselves both in grave danger. If you're in the mood for a quick and suspenseful read with a really smart and original plot, you should check this one out! Technically this is a follow up to Oath of Office in that Lou appears as the main character once again. Never fear, though, Political Suicide stands completely on its own. Lou is the standout, of course, as a returning character and a character that readers will connect with on multiple levels. He's admirable, he's smart, and he's determined to help his friend no matter what. And you get all of that even if you haven't read Oath prior to this. I'm absolutely loving this new twist Palmer has put on his subjects of late as well. He's added a political element to the medical thriller subgenre he's so well known for. I've no doubt that there are plenty of plots that can be built around medical mysteries but in adding this extra element, I think it's given Palmer a chance to explore even more issues and pretty much guarantee that each new book will be just as fresh and original as the ones before. Take it from someone who has a history of binge reading this particular author, if you're just coming to Palmer you might want to clear some space in your TBR for his other titles once you're done! Follow these blogs to find the clues. Rocket pressed his nose against the basement window and watched the lights twinkling across the way. Several houses around the abandoned asylum where he and his sister lived were decorated for the holidays, and the cheer reflected off the snow that blanketed the ground, just enough to cast a soft glow of color. Rocket stood transfixed. Names of the newly departed rushed through his head, bounced and collided with one another like atoms in the sun, but he didn't care. Not tonight. It was Christmas Eve. And Santa was coming. “Hurry, Blue,” he said, calling out to his five-year-old sister. He was much older than she because she’d died long before he did, but she’d waited for him, followed his every move until he eventually succumbed to the conditions of the mental hospital their parents had placed him in during WWII and joined her in the afterlife. “He’s coming!” Rocket said, giggling to himself. His sister Blue appeared in a far off corner, too far from the window to see the sparkling lights or the glittery snow. She wore her same outfit as always, denim overalls and a dirty shirt, with her dark brown hair cropped short and tucked behind her ears. When he beckoned her over in a series of excited gestures, she finally rewarded him with a cautious a smile, and for a moment she stopped wringing her hands and took a wary step forward. Of course, Rocket knew why she hesitated. She’d been hoodwinked before, so he understood why she thought maybe Santa wasn't really coming. But this year would be different. Miss Charlotte told him the truth about Mr. Claus. Said he was getting on up there and sometimes he forgot a few stops, but this year she’d make sure he remembered him and Blue. Rocket figured Santa didn't come because Blue Bell and Rocketman weren't their real names and maybe he didn't know where to find them, but Miss Charlotte said Santa was a lot like him. He knew all the names, real and pretend, of all the kids in all the world. Rocket wasn't a kid no more, but Blue was, and Santa needed to get off his keister and do his derned job. Then he saw movement. He took in a breath and stilled. Widening his eyes, he watched as black boots with red pants tucked into them hurried past the window. His arms flailed out and he fell off the chair he’d been standing on, tumbling to the ground. Blue’s face brightened and she stood beaming at him. Or she was until he tackled her and scooped her into his arms, but he didn't have no time to be gentle. They had to get to bed. Miss Charlotte said in order for Santa to come, they had to be in bed fast asleep. They hadn't slept in years but that wasn't going to stop him. He had a job to do, and if he had to tie Blue to that derned bed, so be it. “But I’m not sleepy,” she whispered to him. “Just pretend then.” He rushed her down the hall to where the old spring cots were. He laid her on the springs of a cot, her body—tiny and depleted from the effects of dust pneumonia before she died—barely took up half the cot. He wished there’d been a mattress to lay her on, but the springs would have to do. After getting her settled, he tiptoed over to his own cot, wiggled onto it, then pulled what had been a paper sack up over his face until only his eyes showed. Then he waited. And listened. As the first rustling sounds wafted down from one of the upper floors, Blue gasped. She bolted upright and gaped at him. He motioned her down, crinkling his paper. “Sorry,” Blue whispered, but it took him forever to reposition the paper just so. She lay back down and cupped her hands over her mouth. Blue nodded and closed her eyes, but he could see her peeking. “Blue!” he said in a louder hushed voice. Blue slammed her hands over her whole face to keep from peeking, but he saw her fingers part. He sighed. Santa was never going to fall for this. Or so he thought, until he heard boot steps on the stairs. He tensed to contain his excitement. Even when he heard the commotion of someone slipping and falling down the stairs or the loosing of a string of blistering curse words, he didn't dare move. But he did wonder about Santa’s inappropriate vocabulary choices and his voice. It was very . . . girly. Rocket thought it would be much deeper. Slamming his eyes shut, he waited as the footsteps drew closer and closer. Santa paused at the door and turned off his flashlight. Rocket could see the light dim because his lids were almost clear nowadays. But he kept them closed anyway as Santa stepped toward him. Rocket held his breath. Santa stopped right beside his bed then walked to Blue’s and did the same beside hers before heading back up the stairs. After the scraping of some furniture and another strings of curses that kind of resembled the names of his reindeer if Rocket concentrated really hard, Santa was gone. Rocket peeled open his eyes. The first thing he saw was Blue’s present. He bound off the cot and rushed to her side. She lowered her hands and opened her eyes, the dark circles underneath making them look even bigger when she saw her present. A doll small enough for Blue to carry around without great effort lay on the floor in front of her. Blue blinked and her mouth formed a perfect O, even more stunned than Rocket. Her doll looked almost exactly like the one she’d had back home. Santa really did know things. Lots of things. “Rocket,” Blue said, her voice so soft, he could barely hear her. He’d been lost in memories when he bound back to the present and turned to where Blue motioned. Beside his cot was a tin rocket. He hurried over to it, picked it up. It was a windup toy like in the dime stores. The kind they could never afford. “He didn't forget us,” Blue said. Blue nodded, satisfied completely, and stroked her doll’s hair. Clues below in the picture! I hope you enjoyed the Rocket short above. Please read below for instructions on how to play with Rocket. There is one room in the asylum in which he doesn't want Charley to see the names, but he loves teasing Charley, and has decided to let you have a peek, to let you see the names in the room. Once you have followed all the blogs listed HERE and have all the names posted on each, use the first letters in each name to create a new phrase. Visit Darynda Jones' Tour Blog for all the blogs participating with corresponding links. 1. Visit each blog listed in the link above for a name or names (no more than two nanes per blog). 2. Jot down the prominent name you see in each picture on each post. Just the first name will be needed. 3. Then take the first letter from each name to create the secret phrase. The phrase will contain exactly 22 letters. 4. Once you have unraveled the letters and have found the secret message, fill out the form below to sign up. You must know the secret message in order to have your entry validated. 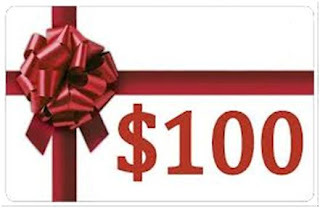 Click on the "Entry Form" below to take you to the giveaway sign up sheet! Thank you to all and the best of luck! A special thank you to Jess Rissmiller, the artist responsible for Rocket’s rendition. 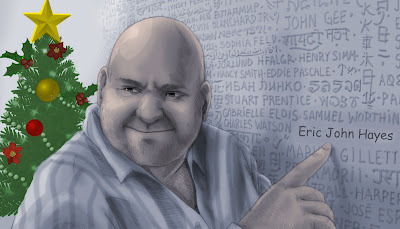 To view more of his amazing work please visit his site @ www.imaginextsoft.wix.com/2d#! 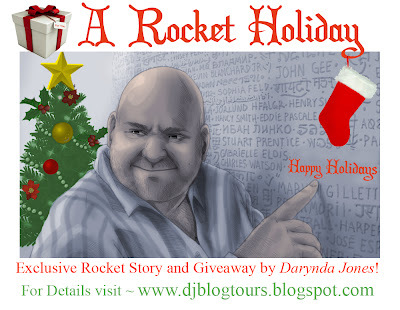 "A Blue Christmas" by Darynda Jones is in its entirety the sole property of Author Darynda Jones and may not be copied or used without sole permission from the author. Unless otherwise noted, all of the material found in this post is property of Darynda Jones. All rights reserved. No part of this post or story may be reproduced, published, distributed, displayed, performed, copied or stored for public or private use in any information retrieval system, or transmitted in any form by any mechanical, photographic or electronic process, including electronically or digitally on the Internet or World Wide Web, or over any network, or local area network, without written permission of the author, Darynda Jones. Readers, there really is no sadder day than when a much anticipated book by a favorite author fails to live up to expectations. In some cases, the anticipation itself is the evildoer. In this case, however, it seemed some completely different person created this book! I came to James Herbert fairly late for a horror fan. My first of his books was Haunted, the first book to feature David Ash. It was a used bookstore find - in hardcover - and understandably a cherished addition to my book collection (it's in PERFECT condition and I expect will last through many, many rereads for years to come). Haunted was released in 1988 and was followed by a second David Ash book, The Ghosts of Sleath, in 1994. Surely rumors of the third David Ash book began much earlier than 2009, but that was when I first came across them and that's how long I've been anxiously awaiting the release of Ash, which hit shelves today. If you can picture the dorky happy dance I did when the doorstopper 700-page finished copy of Ash arrived, you'll fall off your chair laughing. But it's true, and I dropped everything to start reading over the weekend. It's been two years since the events at Sleath and parapsychologist David Ash feels he's finally recovered. So does his boss, Kate McCarrick. It's fortunate really, as the Psychical Research Institute is about to take on a huge case and David is the perfect man for the job. A secret organization called the Inner Court owns a hush, hush facility in Scotland. Comraich Castle is a sanitorium of sorts, a sanctuary for the very wealthy and the very disturbed. The Castle has been experiencing an escalation in the weird and inexplicable and the powers that be are convinced the events are supernatural in origin. Before David can investigate, though, he and the Institute are sworn to secrecy. To break their contract and reveal anything about Comraich would mean harsh monetary repercussions. As such, David is the only investigator to be allowed on the grounds of Comraich. When he arrives, David finds himself completely cut off from the outside world. No communication with Kate or the Institute and no way to leave Comraich until the job is done. And what a job it is! Comraich Castle is surrounded by an air of menace. As David learns more about the history of the castle and the recent events, he becomes convinced that the origins are indeed supernatural. And there's nothing he can do to stop what comes next. One of my favorite things about Herbert is his attention to detail in building atmosphere AND his completely gory horror. It makes for hair-raising, stomach clenching reading - a great combination in horror where you more often only get one of the two. Unfortunately, a lot of Ash is simply repetition. Multiple mentions of the same details (in almost the same wording). And surprisingly what seemed like a lot of contradiction as well. I have to chalk this up to editing and wonder how much time was actually spent on that part of the process. Another big, big issue here was the romance. A lot of people loathe and hate instalove. I'm not a fan but if it had been the only issue with this book, I might have been more forgiving. If it had been worked in just a bit better, I might have been more forgiving. Instead, David Ash falls instantly in love with Delphine Wyatt as soon as she steps onto the plane he's boarded to travel to Comraich. Yes. That night, they're doing the nasty like it's the end of the world (and it's not -- yet). I get it. David needed to establish a strong emotional connection in a short span of time. He's only supposed to be at Comraich for a week (he says three days) and he's got to want to save someone! But, jeez! There are better ways to go about it. Maybe I'm being too harsh. Maybe it's simply that waiting for three years for a third installment in a series that I've gone ga ga over was too much pressure. Maybe Ash was destined to disappoint me from the get go. Maybe not. If this had been any other author, I'd still have to criticize the same things. I was ok with the secret hideout for elite criminals. That was fine. I was ok with MOST of the ties to popular British history - I won't go into the one that jumped the shark for me, but yes, there was one that went beyond even my limit. I was ok with David and Kate. I was even ok with the lengthy but unnecessary first explanation of the Inner Court (unnecessary because Kate gets it and then it's reiterated to David. As the reader, we only need it once.). But the other issues I mentioned above combined with all of these things and many more made this a torturous read. Why?! Why?! This should have been one of my favorites of the year. So sad. Harry Ransom has entrusted Elmer Merrial Carson in sharing his story. It arrived in pieces -- sometimes incomplete, prompting Carson to go to great lengths to track down the missing pages. But this is it, in Ransom's own words. He recounts his adventures and antics beginning with his childhood years, the Ransom Process and his travels to Jasper City, and his sometimes heroics. Ransom's biggest hope is that his name will be known. The Rise of Ransom City is a companion to Felix Gilman's The Half-Made World. In fact, fans of that first book will notice that Ransom crosses paths with Liv and Creedmore in the first part of his tale. No worries if you have yet to read Half-Made World, Rise of Ransom City serves as a great intro to Gilman's created world. It is a world in which two rival forces -- the Gun and the Line -- have been warring for quite some time. It is also a world that somewhat resembles ours at the end of the nineteenth century, but in Gilman's world there are the Folk and there's magic and, of course, the Gun and the Line. Gilman's style and world building are quite amazing. The Rise of Ransom City is funny and engaging and the story moves along at a swift pace, all of which makes this book quick and entertaining. I'd also bet that it leaves more readers than just myself begging for more of Gilman's (or Ransom's) world. Fortunately for myself, I've yet to read The Half-Made World, which means I get to return very soon! Because this is Ransom's story, and it is told through Ransom's "writings," the glimpses of this world through Ransom's eyes are sometimes quite brief. It makes for an interesting perspective but it also leaves the reader wondering about quite a bit of the world's history and mythos. This, perhaps, is where reading The Half-Made World first would be a benefit. I prefer Gilman's method, however, in that while I personally would love to know more about the Gun and the Line and the Folk and such, there's no massive info dump to worry about. Instead, pieces of the world's mythos are gleaned through Ransom's story and I trust that I'll learn more through Gilman's other installments. Fans of quirky fiction, fantasy, and/or steampunk (and likely weird westerns, too) are sure to enjoy The Rise of Ransom City. One add-on, this "Letter From Harry Ransom" came through the Tor newsletter today. Enjoy! J.T. Ellison launched a new spin off series this year with The Deepest Darkness, the first book to feature Taylor Jackson's ME friend, Dr. Samantha Owens, as the main character. It's been two years, but Sam Owens's wounds are still fresh. The grief she feels over the loss of her family has not lessened at all. Then Sam receives a call about yet another death: her ex, Eddie Donovan, has been shot in what the police are calling a carjacking, but his mother isn't so sure. She's asking that Sam travel to DC to do a second autopsy on the body. Sam knows the case will be difficult to bear but can't refuse the request. When she arrives, Sam makes a discovery the original autopsy missed. Alone it's not necessarily enough to question the entire case, but when the body of another man with a connection to Donovan is found, the police have to admit that the case may not be as open and shut as they once believed. Considering I was a fan of Sam Owens as a character in the Taylor Jackson series, it was a given that I would love seeing her with her own series of titles. But I also grieved for her and the circumstances that she's gone through! I know she's fiction, but geez! Such torture for one poor character. Ellison undoubtedly has a talent for creating characters that readers sympathize with. It's one of the things that's made the Taylor Jackson series so popular and will no doubt make Samantha Owens equally as popular with fans and newbie Ellison readers alike. The mystery is equally well developed and this case is very different from what we've seen in the other series. Owens is an ME, not a cop like Taylor, so it makes sense that the cases would be different and told through an ME's perspective rather than a cop's. Plus, there's just as much action and suspense as you'd expect in a book from Ellison. Books one and two (The Edge of Black) are both out now. Be warned, the synopsis for book two has slight spoilers for this first in the series (I made that mistake and ruined the surprise). And for some extra reading, here's a piece J.T. wrote on the above mentioned traumas she inflicted on Samantha. Morning, readers! 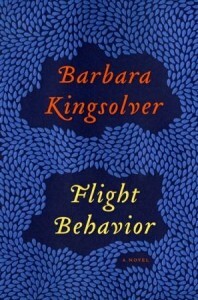 I'm a stop on the TLC tour for Barbara Kingsolver's Flight Behavior today. Dellarobia Turnbow is on her way to beginning an affair when she sees something inexplicable and amazing. The mountain area above her home seems to be on fire. Bright orange covers the trees. Dellarobia turns around and goes home, without saying much about the whole thing. When she learns that her father-in-law is in talks with a timber company to clear cut the same area, she suggests her husband and his father go up the mountain to look at what's being cut. Though she's vague -- in an attempt to allay any possible suspicion of her behavior -- the men do trek up the path. The orange "flames" Dellarobia witnessed turn out to be millions of monarch butterflies. Soon everyone wants to witness this miracle from God. Dellarobia is being hailed as a saint for her vision, but she knows it's something else. When a lepidopterist turns up to study the monarchs, a new world begins to open up for Dellarobia. I loved Dellarobia. I felt her frustration and her pain, her elation and her affection for her children. Hers is a situation that's truly difficult. I really wasn't sure as the story began. Here's a woman who's set off for a tryst with a man she barely knows. And she reveals that she's flirted with the idea before. She paints her husband as something of a saint, but as we get to know more about her and her family, it becomes clear why she would fantasize about getting out. I've never read Kingsolver before now, so I really wasn't sure what to expect. Yes, I've heard plenty about her work in the past and I've picked up and considered her books many times before now. My twin sisters even had to read The Poisonwood Bible in school one year (and surprisingly the paranormal romance fan said she enjoyed Poisonwood). I had some reservations at the beginning. In truth, I was craving a quick and easy read that I could dive into for a few hours and get lost in. With the exception of diving in (for more than a few hours) and getting lost, Flight Behavior was none of those things. It's a dense read filled with beautiful and melodic prose that begs to be read at a very leisurely pace. What's more, it's a book that makes you think. Environmental and social issues are a big part of the Flight Behavior. Whatever your opinion might be on either, I think Flight Behavior is an excellent read. 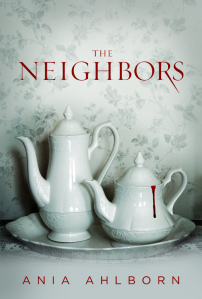 The rich detail and the characters alone are an appealing draw even if you may not agree with Kingsolver's opinions. I personally never found the book to be "preachy" though I have seen a few murmurings of such amongst other reviews. For more stops on the tour, visit the official tour page here. For more on the author and her work, you can check out her official site here. You can also like her on Facebook. Morning, all! 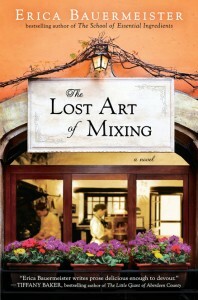 I'm a stop on the TLC tour for Erica Bauermeister's The Lost Art of Mixing today. Readers return to old favorites at Lillian's and meet some new ones as well in this follow up to Erica Bauermeister's The School of Essential Ingredients. Lillian and Tom are back and have been dating for the past year. While some of the hurdles of their relationship have been dealt with, there are new ones right around the corner. Chloe and Isabelle also return. Chloe has taken up residence with Isabelle since leaving her boyfriend. She's also training as Lillian's protege and helping Isabelle as her condition worsens. We also meet Al, Lillian's accountant, and Louise, his very unhappy wife. Then there's Finnegan, the new dishwasher at the restaurant, and Abby, one of Isabelle's daughters. I am so glad that I read The School of Essential Ingredients before diving into The Lost Art of Mixing. I don't think that it's absolutely necessary, but as I mentioned in my review of School, neither of these books is a standard novel. Instead they are both made up of short stories connected through Lillian and her restaurant, each story focused on a different character. Having read School first prepared me for this with Lost Art of Mixing and I was able to enjoy it much more as a result. I was also pleased to return to Lillian, Tom, Chloe, and Isabelle. My only issue with School was that I wanted more of the characters' tales, Lillian in particular. By bringing them back in Lost Art of Mixing, I finally got what I'd wanted out of School. As a whole I think I also enjoyed the characters more in this follow up. Finnegan and Al were both so charming and quirky, more so than some of the other characters left behind in School of Essential Ingredients. Both books are filled with Bauermeister's beautiful prose. She certainly knows how to spin a captivating and rich tale. I guess if my biggest complaint is that I want more, that's not a bad thing! The Lost Art of Mixing is due out on Jan 24. For more on the author and her work, visit her official website here. You can also like her on Facebook. Lillian's restaurant not only offers diners tantalizing dishes to tempt their palate, for those who are interested they can learn to make these dishes themselves. The restaurant may be closed to patrons on Mondays, but behind those closed doors, owner Lillian teaches folks about the essential ingredients. Here they'll learn much more than just following instructions in a recipe. Each student will walk away with an experience unlike any other. 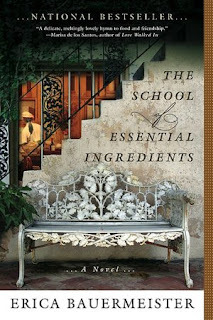 The School of Essential Ingredients is an interesting read in that it's not a standard linear novel. In fact, it reads more like a collection of short stories bound together by the class itself. Each chapter features a different student and their story. There's Lillian herself and how she came to love cooking and understand that ingredients can elicit all sorts of responses from eaters. Then there's Claire, a mother who's lost herself in her family. Carl and Helen are the only couple attending the class. While they seem close and loving, their relationship has had its fair share of rocky times. Antonia is new to America and works as a kitchen designer. Tom is grieving his wife. Chloe longs to find her place but also has the urge to learn to cook, something her boyfriend isn't necessarily supportive of. Isabelle's memories are slipping away. And Ian finds comfort in food as well as a new love interest in Lillian's class. I have mixed feelings over this book because I wasn't expecting the short story format. The prologue and Lillian's chapters hooked me, without a doubt. But when the next chapter began and it wasn't a continuation of Lillian's story, I was disappointed. I didn't want to be -- Bauemeister's writing is lush and vivid and her characters are all a bit enchanting. I just wanted more of Lillian's story. Fortunately, I'm on the TLC tour for the follow up book tomorrow, so I did get more of Lillian's tale in the end anyway.